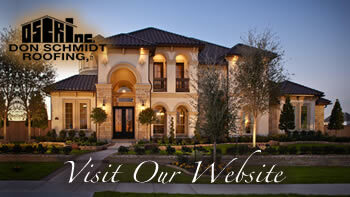 Home » Don Schmidt Roofing Blog » Get your Comercial or Home Roof Inspection early. The best investment you can make in your home is making sure your roof is secure, energy efficient and within code. When you need your roof inspected, whether it be for a new roof construction compliance, your insurance requirements, or to be on the safe side. You can always depend on Don Schmidt Roofing to give you a thorough and honest inspection of both inside and outside of your roof. Our expert team of certified roof inspectors combines many years of experience. Our inspections include but not limited to weather damage, structural damage, corrosion, water leaks, staining, missing shingles, attic, vents, chimneys, skylights, etc.